From the screenshots I've seen above, this looks to be awesome! Can't wait for the release. 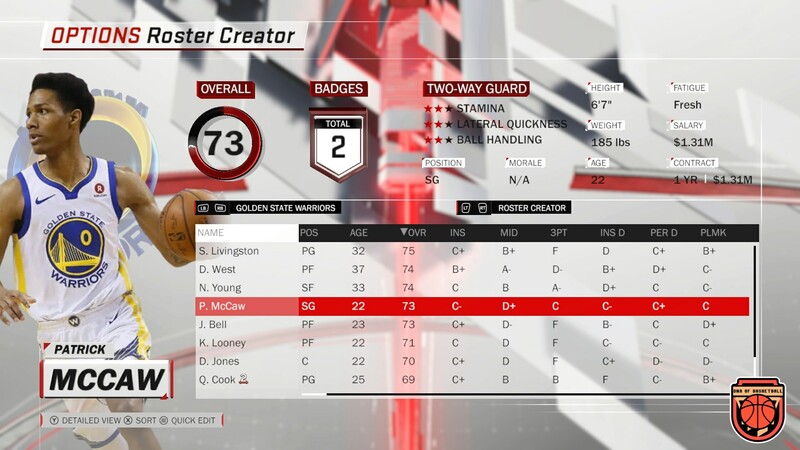 And I am new to this modding of NBA 2K (Just bought the game this week lol), and was just wondering would the process of implementing it into the game be the same as adding other various mods which would be through the modded folder? Or would it be something entirely different? Thanks in advance! LeoCELTICS wrote: From the screenshots I've seen above, this looks to be awesome! Can't wait for the release. 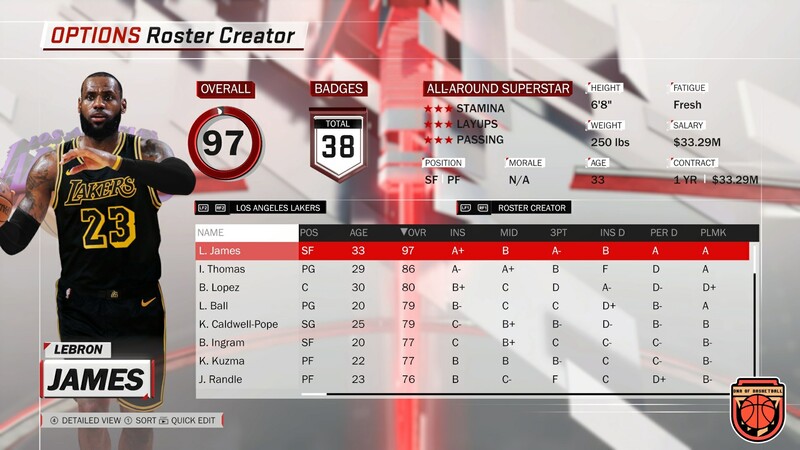 And I am new to this modding of NBA 2K (Just bought the game this week lol), and was just wondering would the process of implementing it into the game be the same as adding other various mods which would be through the modded folder? Or would it be something entirely different? Thanks in advance! Last edited by Shuajota on Fri Jun 29, 2018 1:57 am, edited 1 time in total. 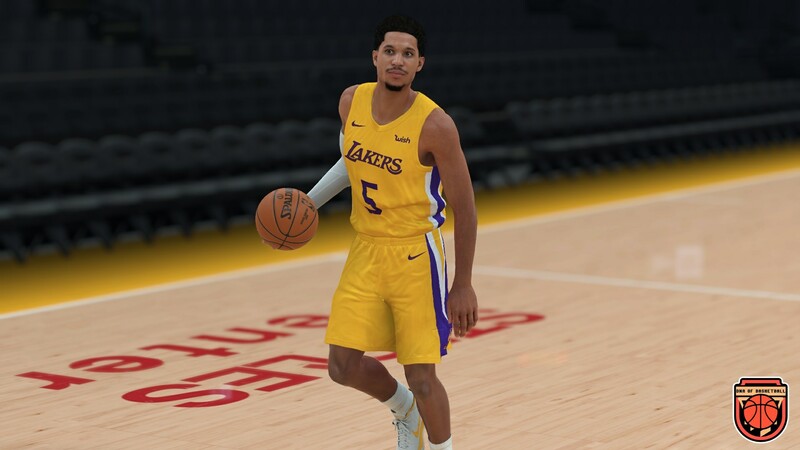 -I will release the Summer League jerseys and arenas in a different "rar", and also a backup from the original ones to switch them with the NBA jerseys. So you have to copy in waigua the jerseys and arenas you prefer to play before to load the roster. -I´m rebuilding all my database, and I´m making a word documment with all the info of each team, there you will find the player names, ratings, portraits Ids, cyberfaces Ids and more important information. -I´m not going to release a Beta, I want to release this mod during July with I get an stable version to release updates after in a easy way to install it. Last edited by Shuajota on Fri Jun 29, 2018 2:10 am, edited 1 time in total. 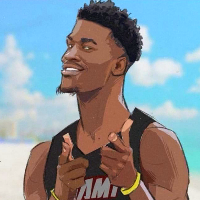 Doncic a lockdown defender? Are ratings finished or also WIP? Rosque wrote: Doncic a lockdown defender? Are ratings finished or also WIP? Agreed, Doncic's defense is one of the more major knocks on him. That and his lack of athleticism/vertical. He's also listed as a PG here which is not what he translates to in the NBA. I'd assume this is still a work in progress and more to show the art. He's plenty athletic. His lack of athleticism is mostly because of him being white. I see him as white Paul Pierce in terms of athleticism but not as strong. He's also a SG/PG. Rosque wrote: He's plenty athletic. His lack of athleticism is mostly because of him being white. I see him as white Paul Pierce in terms of athleticism but not as strong. He's also a SG/PG. I spent months researching prospects for the Real 2018 Draft Class. He is almost objectively average when it comes to athleticism. Almost every scout says he will be average to below average athletically in the NBA. That's not his game, so for his biggest skill here to be vertical is not correct. That's for guys like Zhaire Smith and Hamidou Diallo. "Minuses - Struggles to contain quicker, more explosive players due to average agility and lateral quickness. Doesn't create separation when turning the corner on drives due to lack of elite burst. Rarely uses his left hand to finish around the rim, which is important to develop for a player who lacks explosiveness inside." He's also more likely a ball dominant SG. He's not quick enough to guard the majority of 1's at an NBA level. are you gonna make Ray Spalding and Jaylen Adams?? Yes guys, the ratings aren’t the final result, I’m showing art. Right now I’m focused on Summer-League roster (there is a lack of information, but I’m finding the rosters on Twitter). Also as I said, I’m creating a word document with all the info about my rosters and IDs too. Great job and keep up the good work! 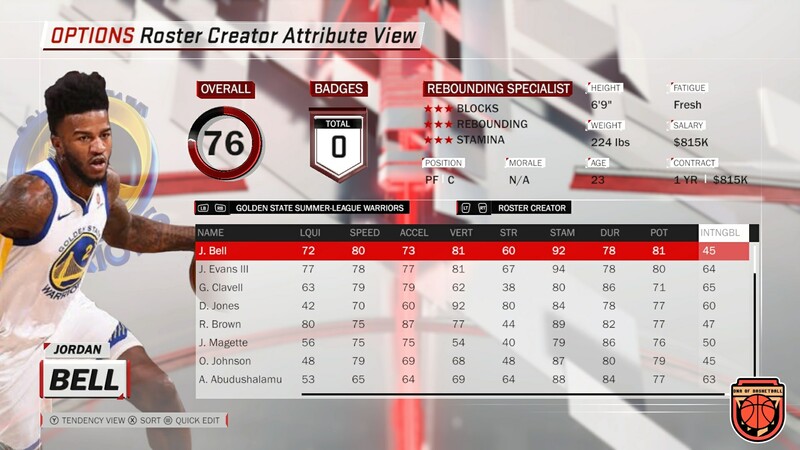 I hope you will consider adding Euroleague players to your roster so that we can use them in myleague. 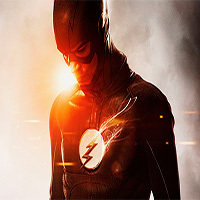 vanterminator wrote: Great job and keep up the good work! 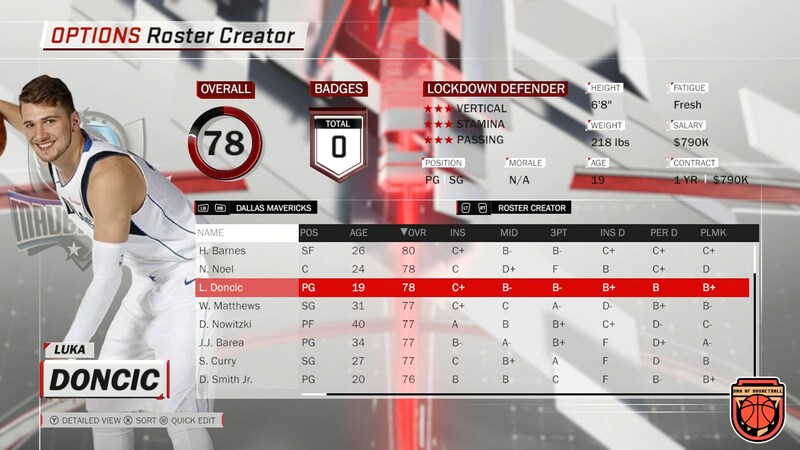 I hope you will consider adding Euroleague players to your roster so that we can use them in myleague. Yes, I’m importing players and art from my ACB mod too. Looks great! Anxiously awaiting this project. I know it says ETA is July, but how far along in the progress are you? Thomas Bryant is not a member of the Lakers. He was waived and claimed off waivers by the Wizards. Yupp, he's a Wizard now. Yes, I have updated it, thanks guys.